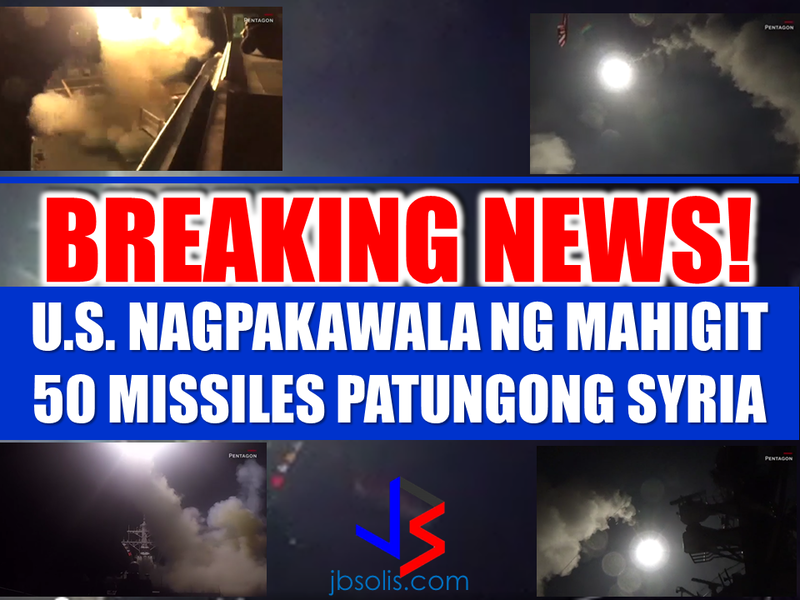 The US government launches missile attacks on Syria from their two navy destroyers. 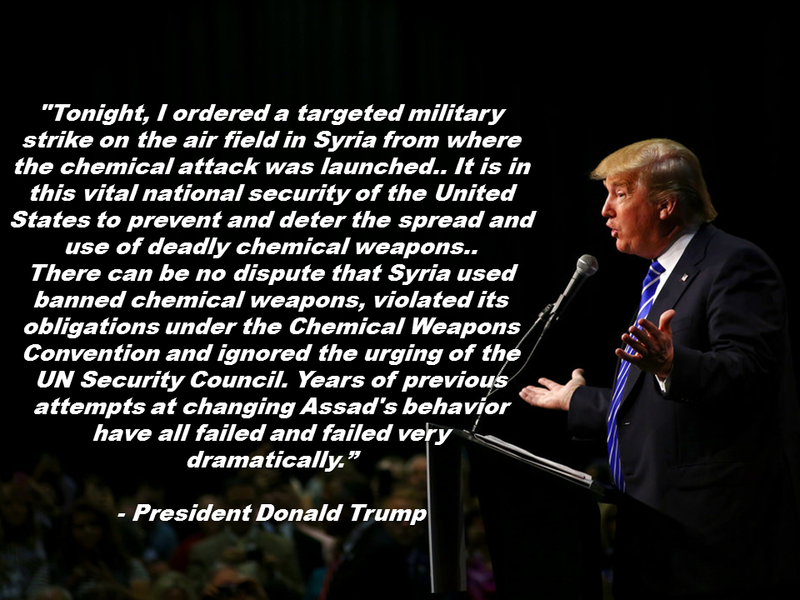 President Donald Trump ordered the missile launch in response to the chemical attack that happened earlier this week killing hundreds of citizens including innocent children. President Trump said that Syria violated their obligations under the Chemical Weapons Convention by using banned chemical weapons pointing to Assad's behavior as the reason of such catastrophe. U.S. lawmakers generally support the decision of President Trump as two known defense hawks, Senators John McCain and Lindsey Graham said that: "Acting on the orders of their commander-in-chief, they have sent an important message the United States will no longer stand idly by as Assad, aided and abetted by Putin's Russia, slaughters innocent Syrians with chemical weapons and barrel bombs." However, Sen Rand Paul said that, "The President needs congressional authorization for military action as required by the Constitution, and I call on him to come to Congress for a proper debate."